Thread: Project: " POWER CELL " Scratch Build. Case Shape: cylinder. One base, One top, 3 Pillars, 3 clear windows. Being build ATM. 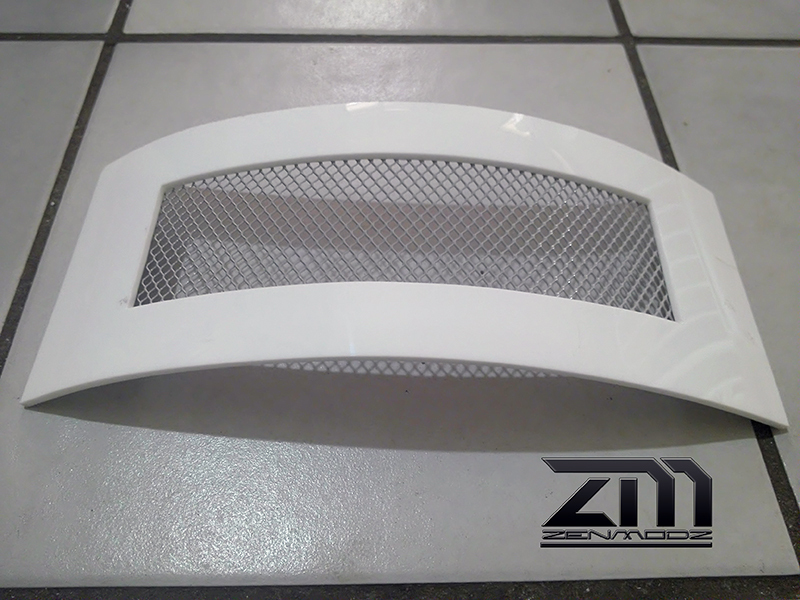 Case Colour: Grayish/white, with some black & red. 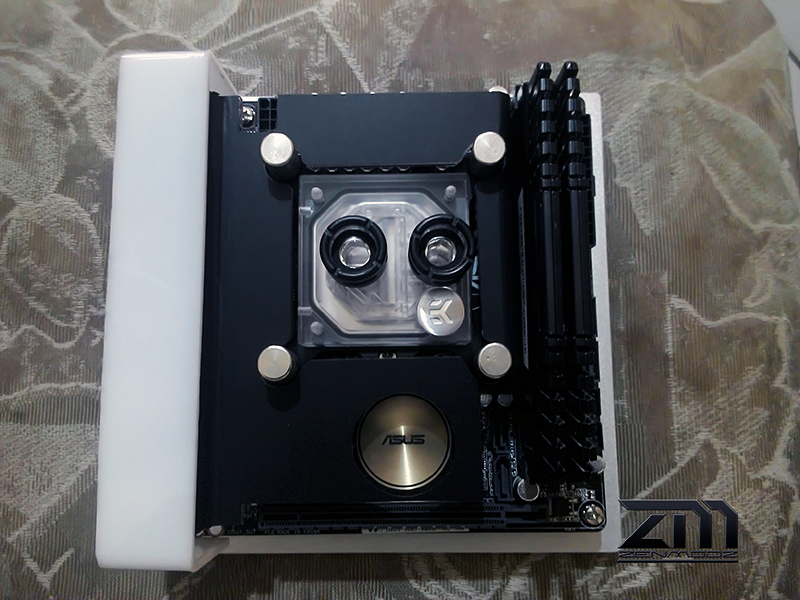 MoBo: Asus H97I-PLUS Mini ITX LGA1150 Motherboard That will mounted to the bottom and the case. GPU: ASUS TURBO GEFORCE GTX 960 OC Edition 2GB-GDDR5. 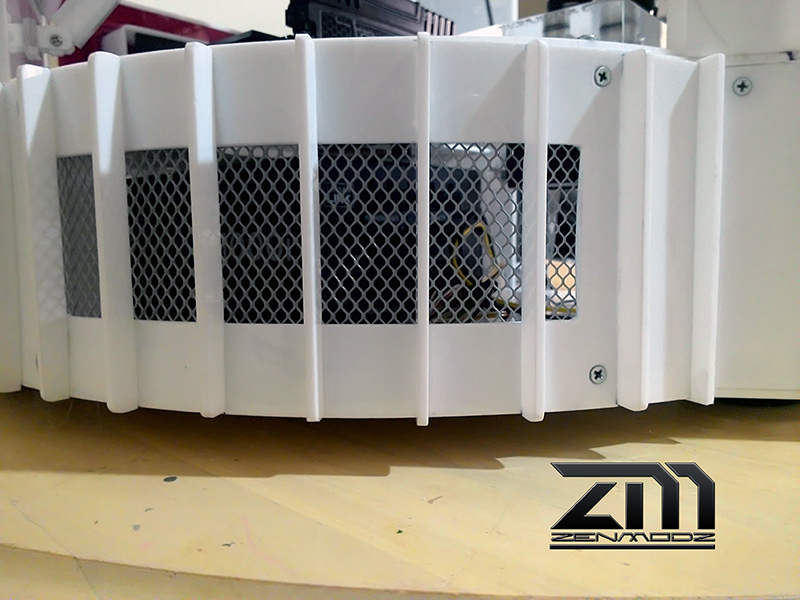 Staying air cooled, This will be mounted to one of the 3 case pillars. 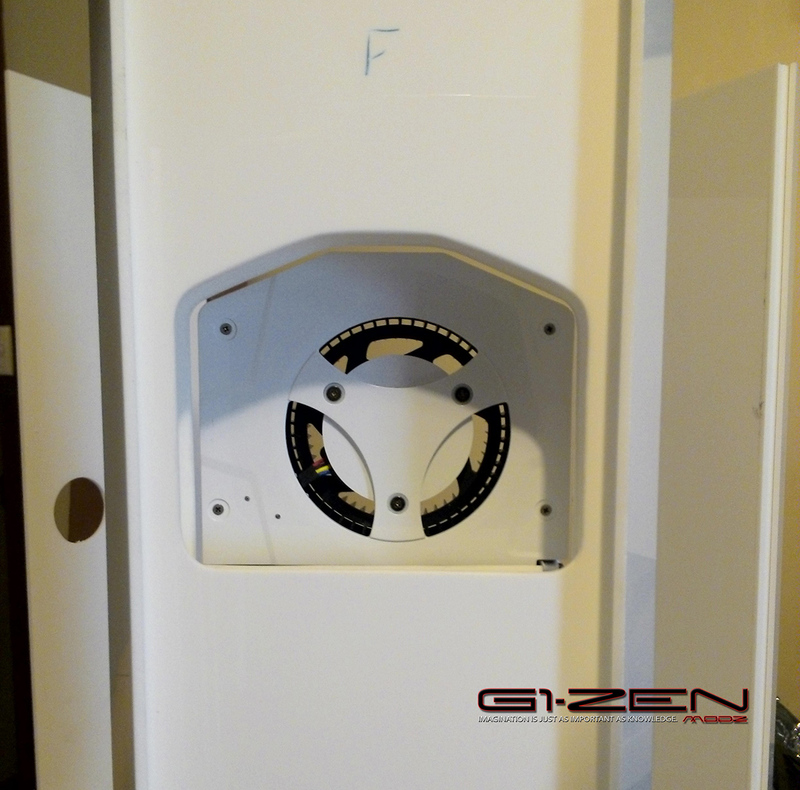 And the intake for the TURBO GTX 960 will come from the pillar it is mounted to. 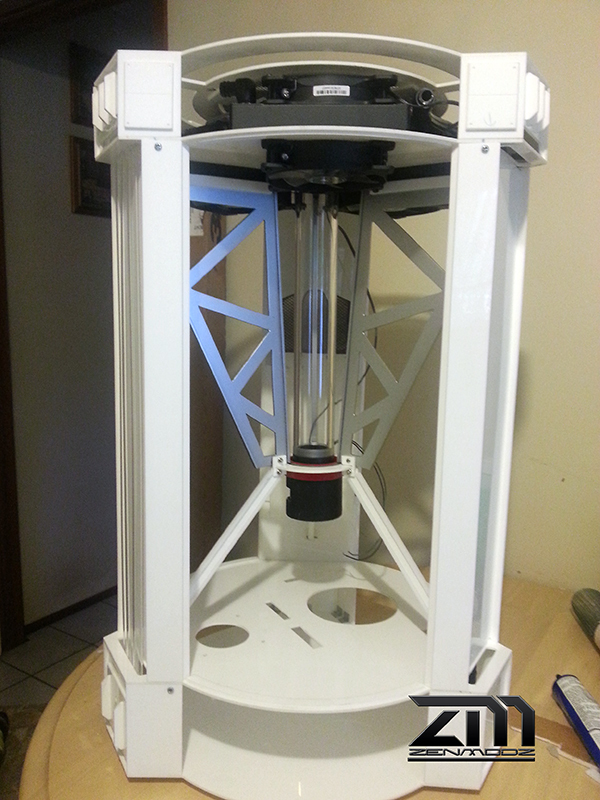 PSU: Still needed, Will be mounted in the base. 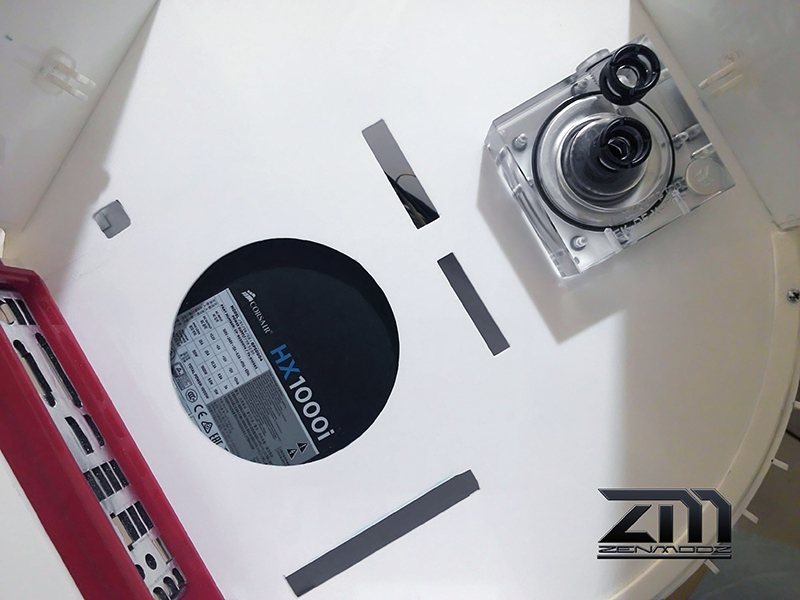 Water Cooling, One custom 60mm x 400mm res. 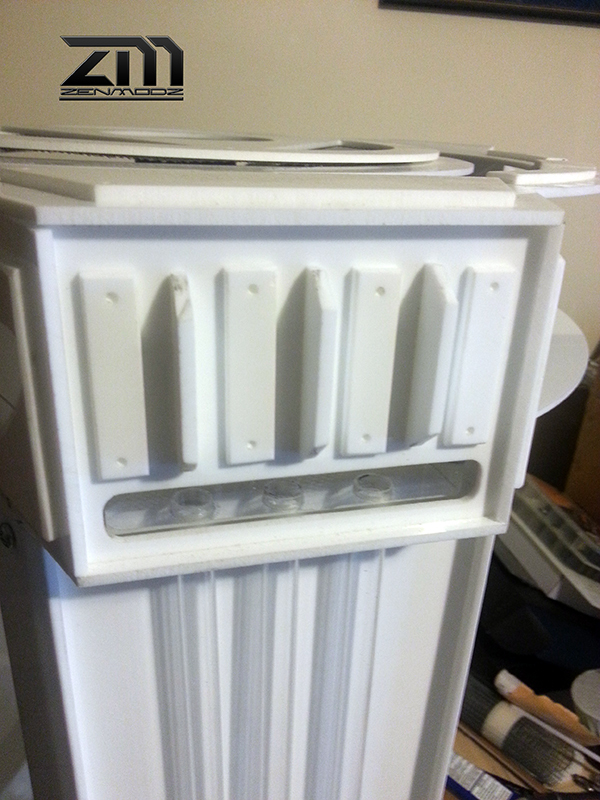 (3x 120 slim rads, CPU block, 1x Pump, fittings.) ( 6x90mm W 20x20mm H,D clear blocks running 9x5mm Round 500mm L tubing. Lighting: Black Light, and some white LED's. Even though this is only my second Case Mod, I have been using ASUS Motherboards for many many years. I have always found them to be well priced and having lots of great features. And today is no exception. ASUS continue to add all the goods to there Motherboards and GPU's, Even for there low to mid range hardware you still feel you are getting more for less. As you will see below "Small" can still make a big impact and still play hard. And "Colour" is not Black or White its a shade of what your Imagination can do with it. 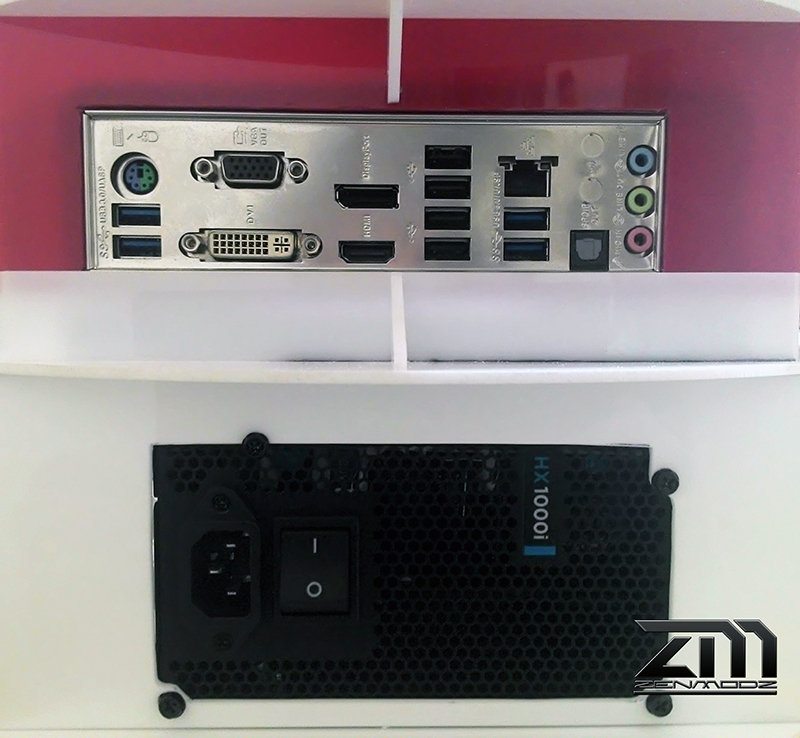 Below are two of ASUS products that I will be using for this build from ASUS who I thank for helping me with my second case mod. 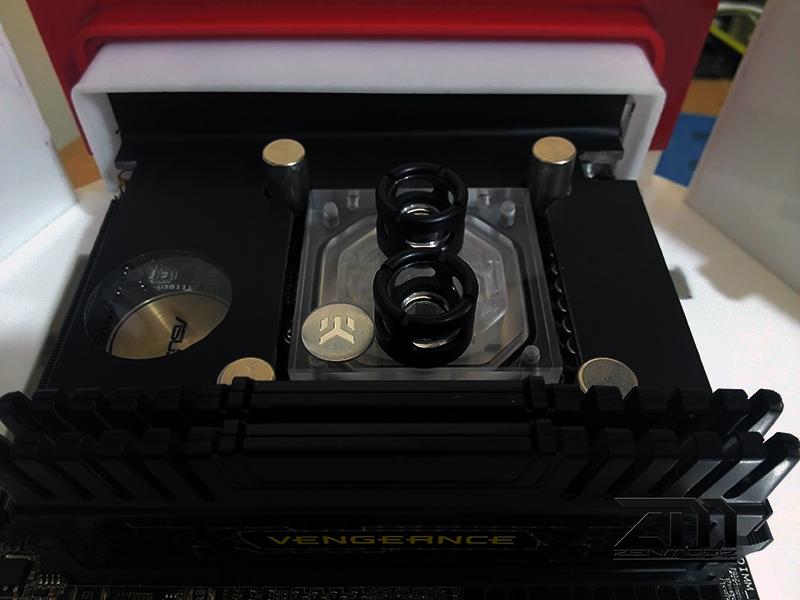 To start off with im doing the out side water blocks/res there will be 6 in all three at the top and three at the bottom. All 6 will be part of the cooling loop. So below I have started a quick step by step. for the blocks, after ill be adding the 3x 5mm tubes to the 2x blocks to make one (Loop Rail.) and this will be done 3 times. Last edited by Zenator; 12-08-2015 at 04:40 AM. Playing catchup at the moment to bring you all up to date with this build. 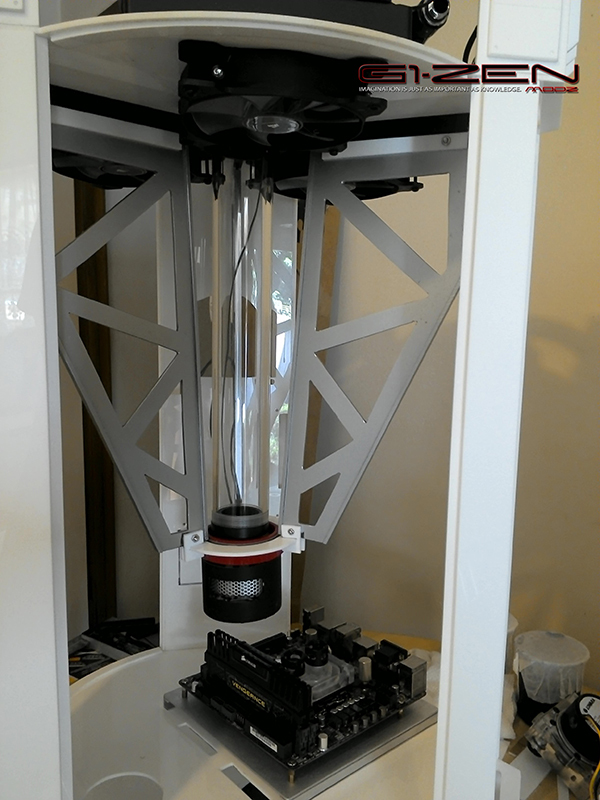 I have started working on the center res mount. So far I have made the casing, added some blue LED's, put some steel mesh around it. 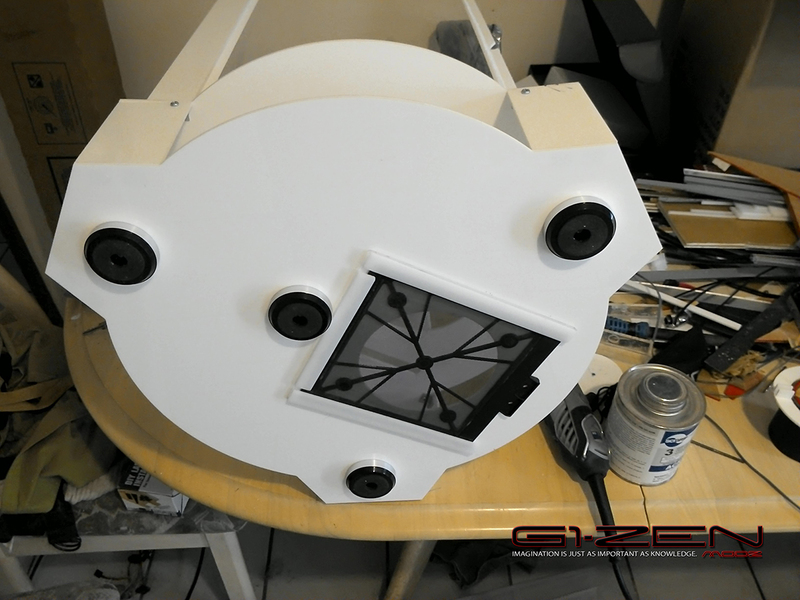 Still need to add a small electric motor to turn the black cover at the bottom. to create a rotation of light in side the case. 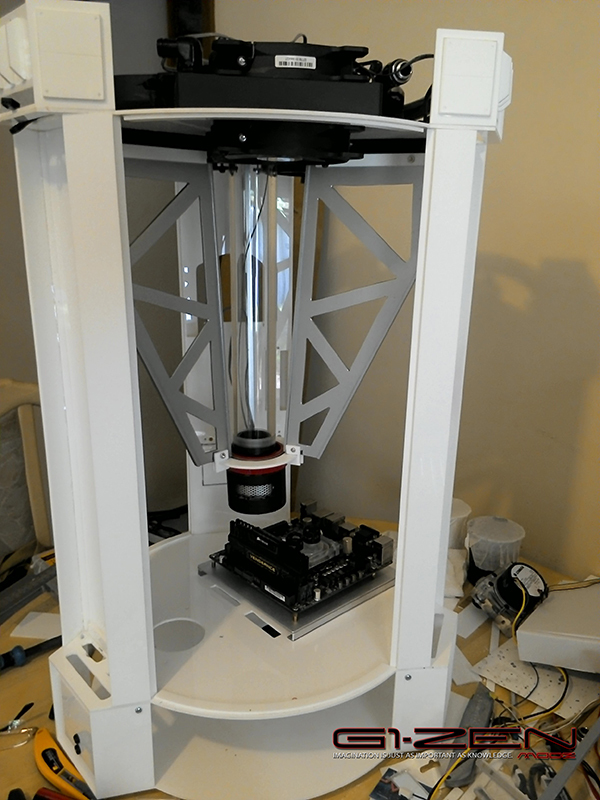 Once that is done i will starting working on the rest of the res mount. And then add the rest of the trimmings. 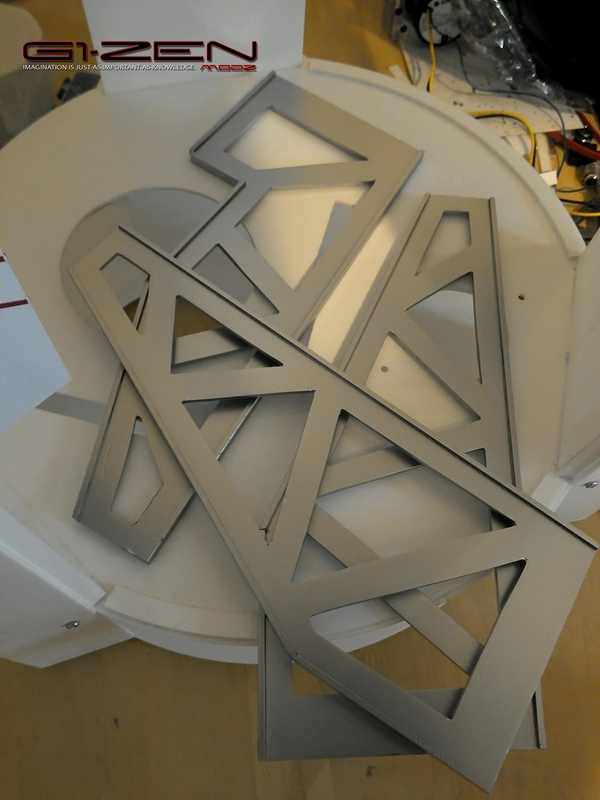 The CNC parts done, And are now being put together. 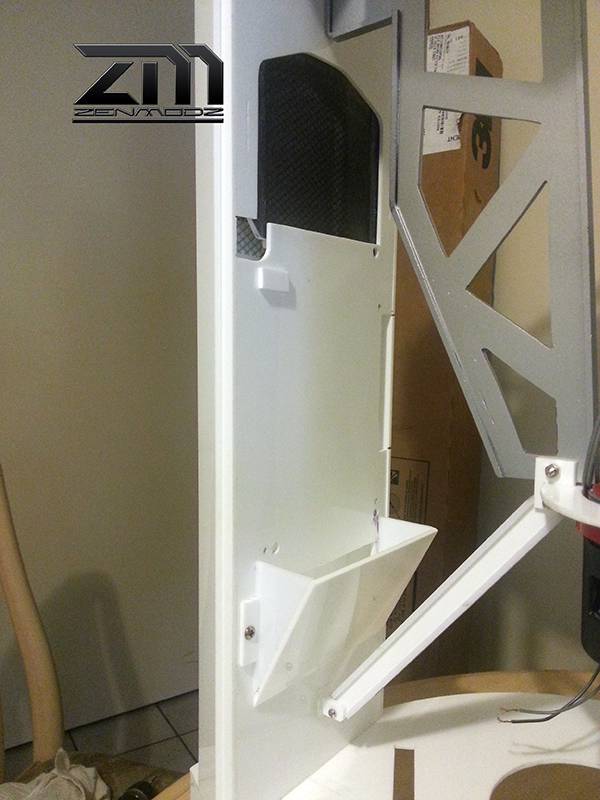 Along with some of the hardware that will now be test fitted to the case. 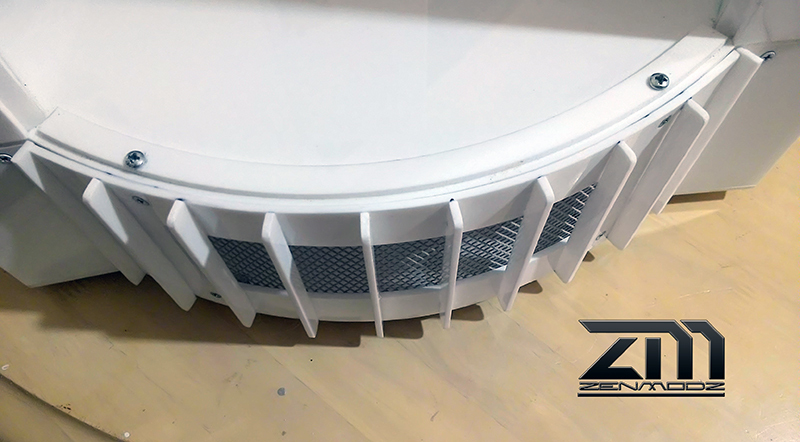 Then all the side pillars cut to size and will be added for the height, The Pillars will be box like to hide all the things you gust don't want to be seen running from the top of the case to the bottom. 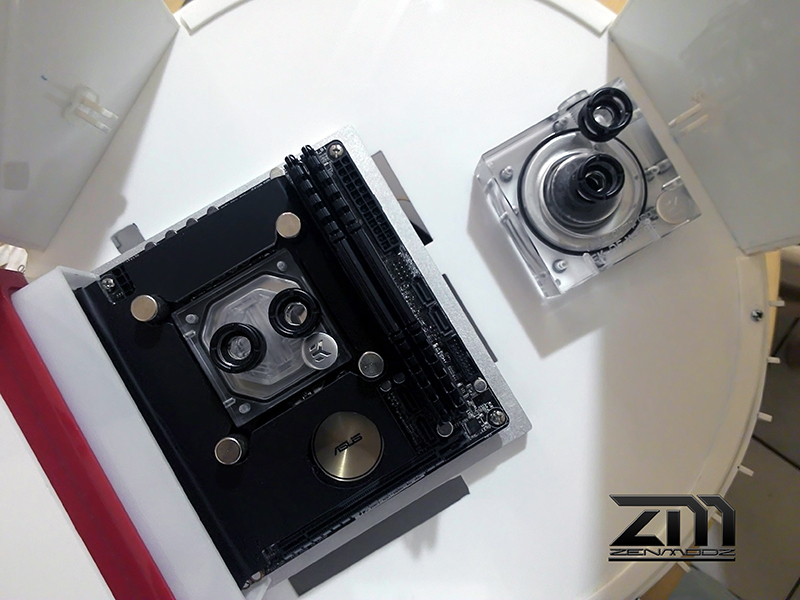 MOBO tray has been made as well but still needs to be vented on the back. Hope you like it so far, Would love to know what you think. Rad's & all 6 fans are fitted as well as the Res, It's now hanging from the top as well. 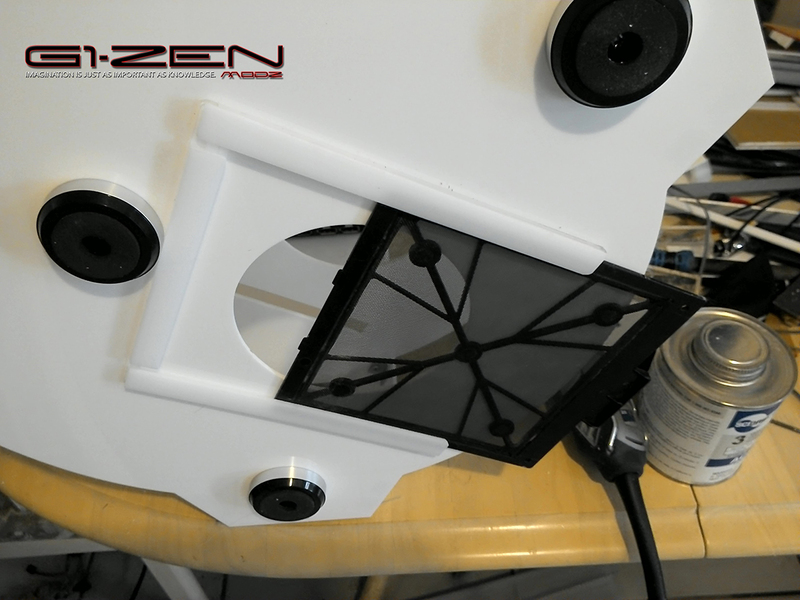 Here are some progress pic's of the top cooling disk. 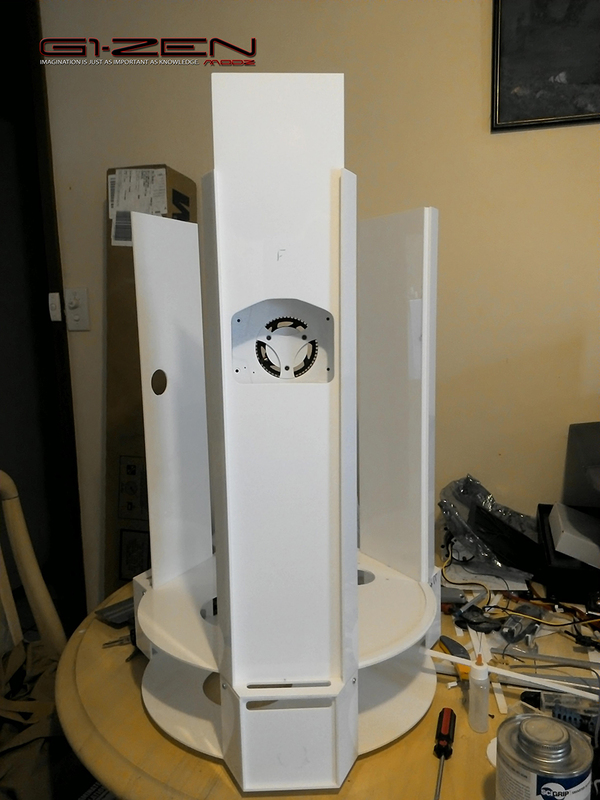 I have been working on the base and the pillars one of the pillars will hold the GPU, The GPU will take air in from the outside of the pillar as well as the inside. Ive cut out and mounted the GPU and all is good. 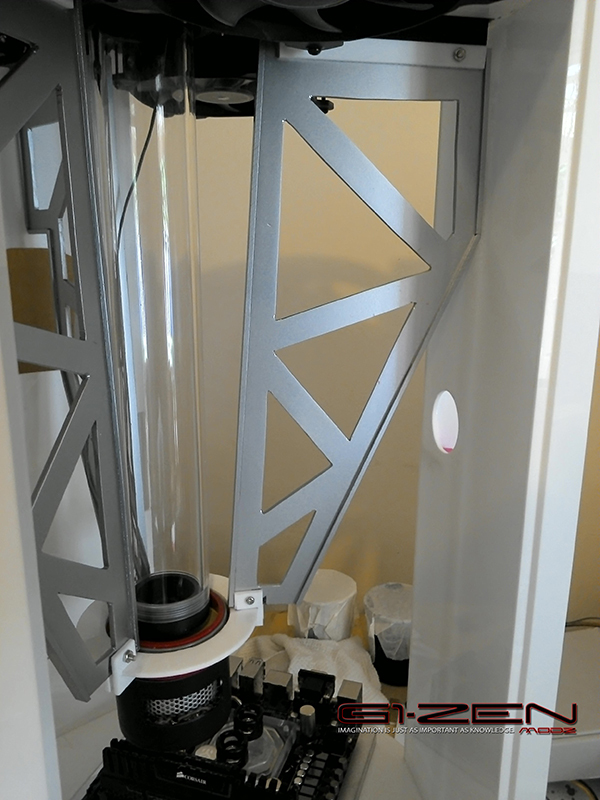 Still making the Pillars stronger by making them two layers thick in side the two layers will be a 20mm space to run wires and such to the top and back. 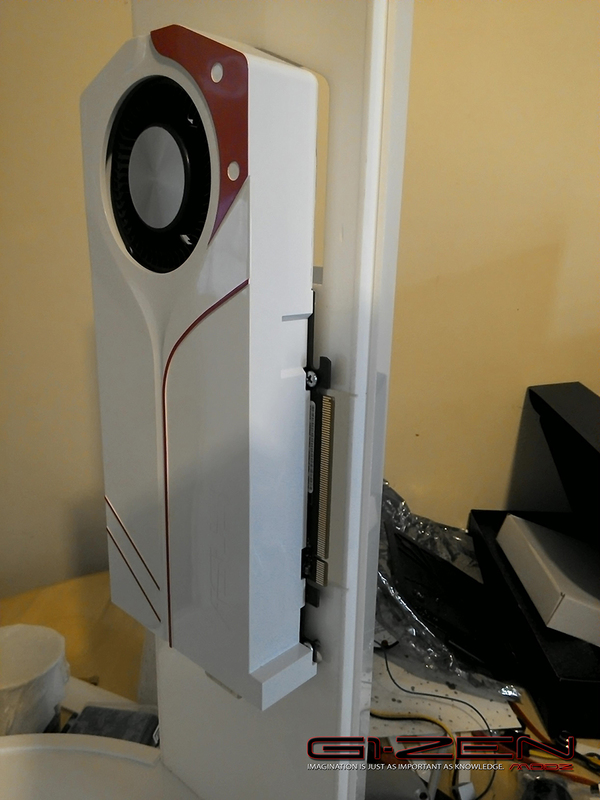 MOBO and Pump are new in there places as well, Once all the hardware is fitted, and the case is complete all the hardware will be removed again so I can start painting the case. inside & out. Hi here are some more Photo's, Will have some more again in a day or so. 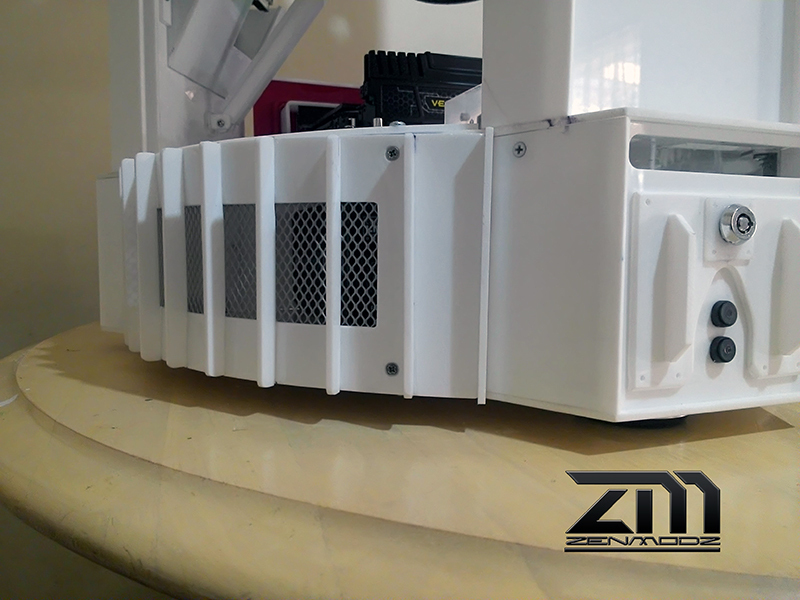 GPU from the out side of the case, will have mesh over the face. and a filter that slides in from the side. 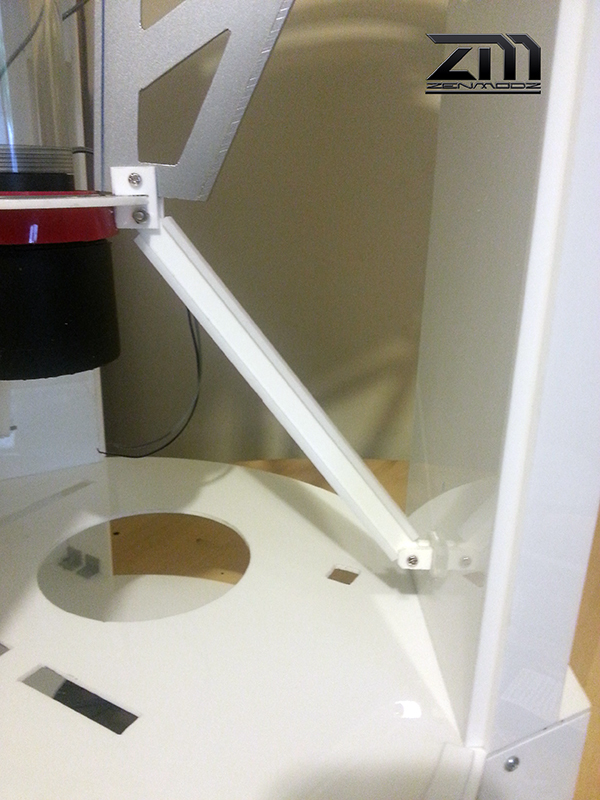 I have made 3 mounts to hold the center Res Light, And to strengthen up the case a bit more. One of then needed to be change to work with the GPU space. My work shop or should I say my Wife's dining table. She loves ME! 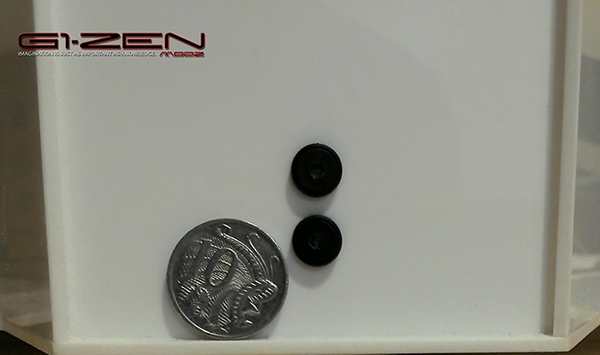 The bottom of the case with PSU filter. Again thank you for stopping by. more again soon. 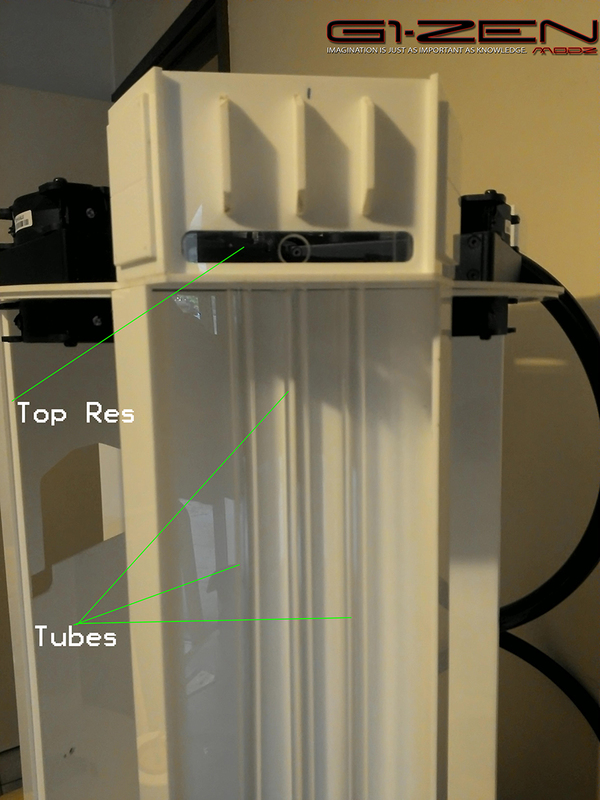 Today I fitted a flow indicator into one of the back pillars so it cans be seen from the inside of the case, I also added 2 micro switchers to the bottom front of the case, One switch has a green LED, and the other is blue, One switch will be for the power and the other will be the reset, the blue LED will be the HDD drive light, and the green will be the power light. Thanks again for stopping by and following the build. 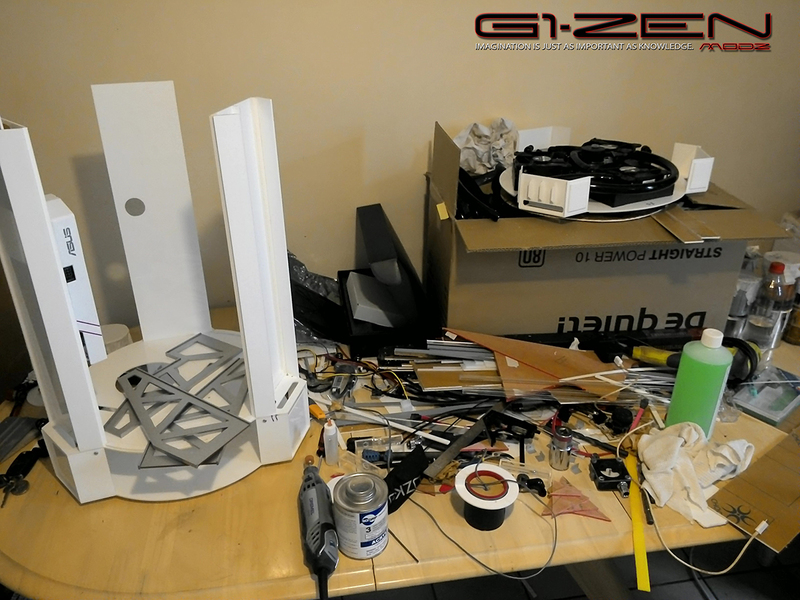 The I-beam has been test fitted, here are some photo's of where they are going. 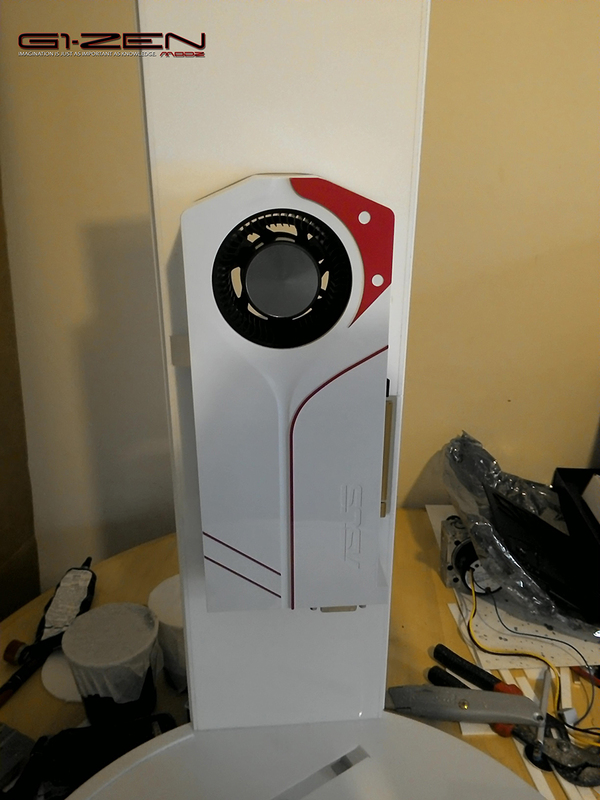 Hello again everyone, Just a small update I have made a dust filter for the GPU as well, That slides out for the side of the pillar for cleaning. And added the mesh. 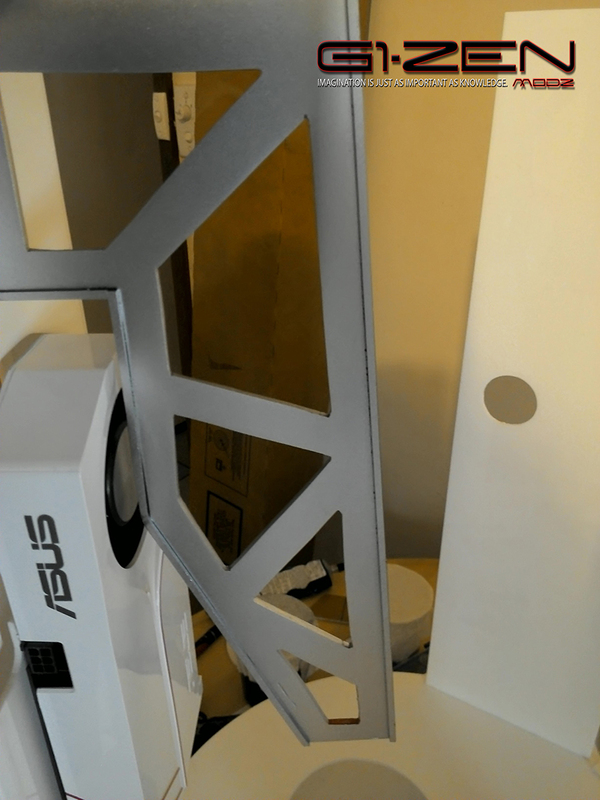 I have done more to the GPU mount. But will have some updates on the weekend. 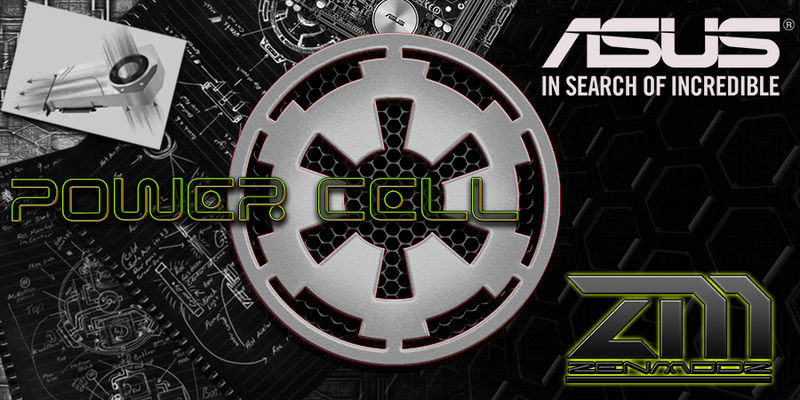 I have also change the logo it needed redoing the old one was bugging the crap out of me, and the new logo can now be easily made on a CNC or laser cutter if need be. Last edited by Zenator; 10-29-2015 at 04:14 AM. Still progressing on the Power Cell. 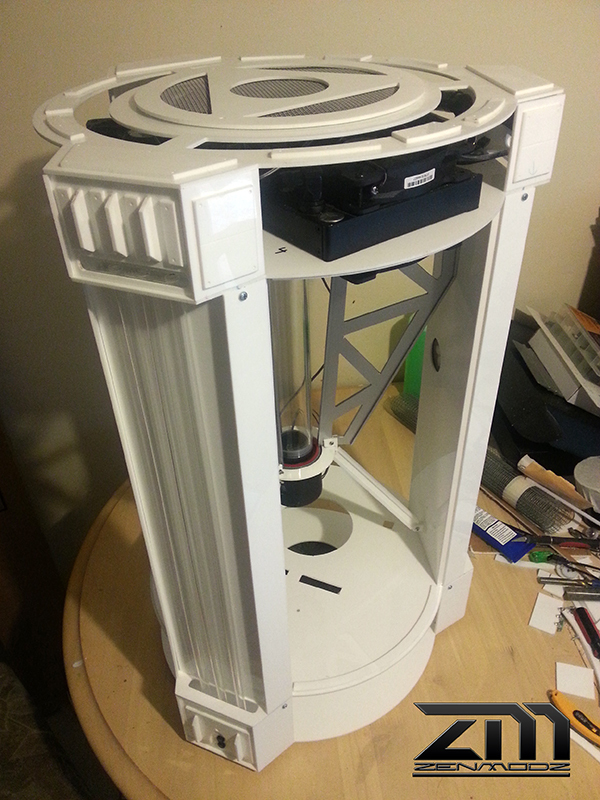 I have been adding more details to the outer rims of the case, Still a lot more to do there. I have now also added the lower I-beam arms. As well as the outlet for the GPU. I will be doing all the side covers for the top and bottom base over the next week. Getting much closer to having it ready for paint. Starting to add some lighting to parts of the case. before I start looking at the painting things I need to make sure it's all working and fits. And once all the painting is done. I will fit all the light FX to it again. This bit is for any one that likes playing with electronics. I have not done this for some time my self. But it's time to do some soldering again. The top dish of the case will have a ring around the outside edge. 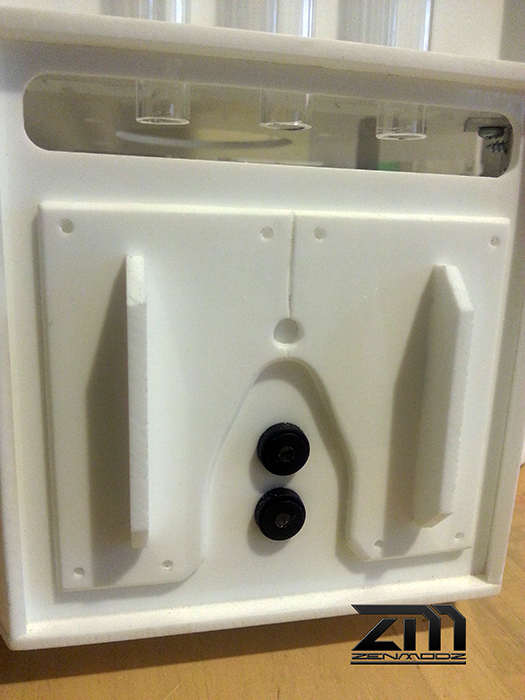 The plastic around the outside is a translucent white. 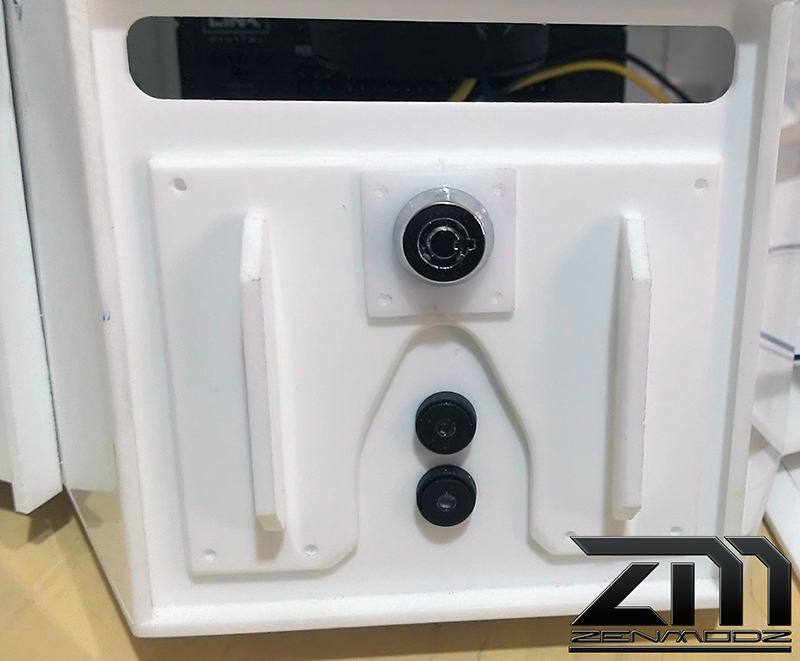 So the light can be seen the rest of the case is made of a solid white, and will be backed with black paint. 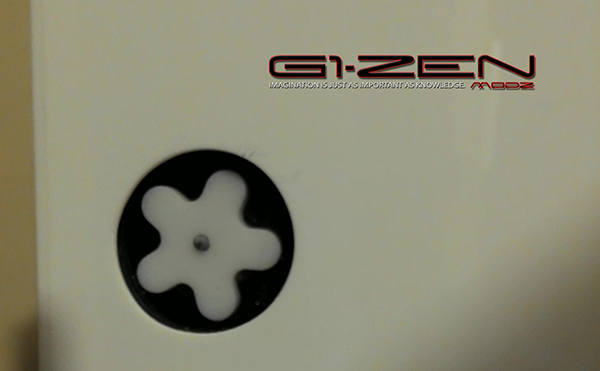 This part of the case will pulsate with light behind it. I ended up changing out the PCB's to RGB LED tape. I just made up a inner ring to run the tape. Still need to blacken out the inside to stop any light bleeding out. Last edited by Zenator; 11-08-2015 at 01:23 AM. 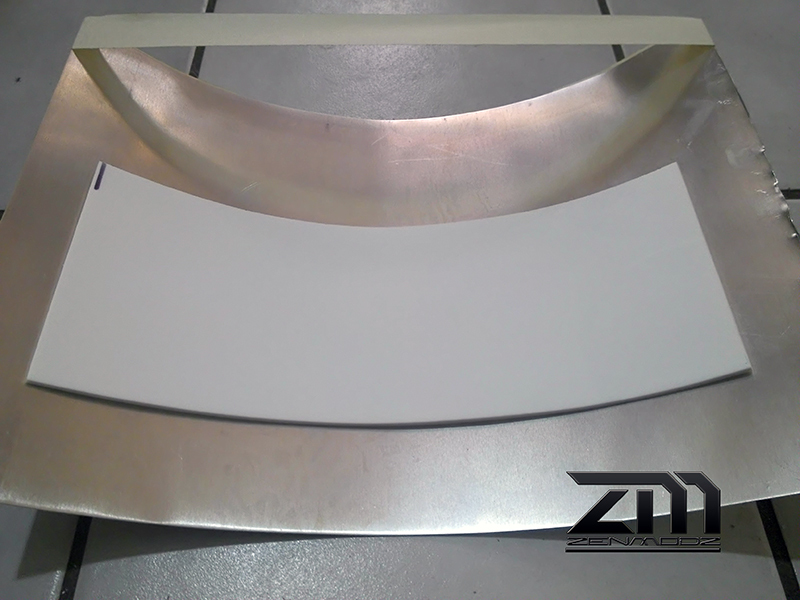 Below is the curving process I used to get the sides done, I placed the inside a thin sheet of alloy that will hold the curve that's needed and heat it up with a heat gun till it forms the same shape then let it cool. After this I have cut a window out and added mesh to it. Still work in progress. I have also fitted a HX1000i PSU. The MoBo armor cover is now done as well. Hear is the Colour theme I'm going to be doing on the out side of the case.